One week from artwork approval and we will have your custom printed lanyards delivered to your door. 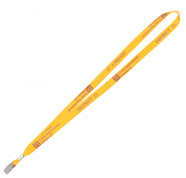 These are the fastest printed lanyards, and they are available in a variety of materials and sizes. 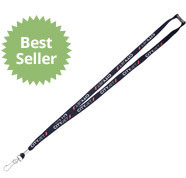 There are a few restrictions in that it is only for a one color print and it is for orders between 250 and 3,000 but if you want lanyards in a hurry, these express lanyards are just the thing. Click on the images below for more information on each style.